Word that the United States' middle class is no longer the world's most affluent -- and that Canada is No. 1 -- stirred up the expected hysteria last week. Is the American dream dead? 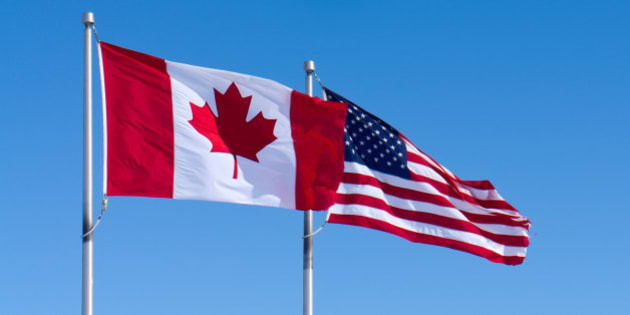 While the Canadian in me swells with pride, my American side need not panic. There's plenty that needs fixing for the middle class, but Canada's rise is more due to luck, and a couple of smart policy decisions, than to the decline of the U.S. The Luxembourg Income Study documented after-tax income in 20 countries dating back to 1980. During this time, Canada and some western countries have slowly been gaining ground, but between 2000 and 2010, the median Canadian middle-class income went from being 20 per cent lower to matching -- and then slightly exceeding -- the U.S.
Much of this has to do with the recession of 2008. Canada's recovery was faster because its banking and real estate sectors didn't collapse. The Canadian government has always closely regulated its five major banks, limiting their losses and the risk of them dragging down the entire country. Canadian teachers and other government workers did not have to be laid off. Meanwhile, a bit of fortune. After a 20-year-long slump, commodity prices began climbing again. Mining and energy jobs increased. Canada's economy fared well, given these factors, and because it's only one-tenth the size of America's. The result is that by 2011 Canada had recouped all the jobs lost in 2008 and the United States has only just accomplished this in 2014. The research also revealed that America's poorest have 15 per cent fewer after-tax dollars than do those in Canada, Sweden, Norway, the Netherlands and Finland. This is because the minimum wage in Canada is $11 an hour and $16 an hour in most European countries compared with America's $7.25 an hour. But a caveat is that the research does not include the impact on low-income families of the exorbitant sales taxes charged by Canada and European countries. In Toronto, for instance, this tax, called GST, is 13 per cent and added to the cost of every purchase, from buying tires, gasoline or shoes. In Norway and Sweden, the national sales tax is 25 per cent, in Finland it is 24 per cent and in The Netherlands 21 per cent. Of course, there are sales taxes in the United States, too, but these are not ubiquitous or punitive. New York charges 8 per cent on parking fees in Manhattan; 8.5 per cent on clothing or footwear costing more than $110; 8.5 per cent on other goods and 4.5 per cent on beauty services such as salon or spa services, to name a few. The point is that minimum wages may be more generous elsewhere, along with other entitlements for the poor, but these governments aggressively claw back incomes at the cash register. They also squeeze richer residents more than the U.S. does. For instance, Canada's top federal income tax bracket kicks in at $136,270 a year and the highest Ontario provincial income tax kicks in at $80,242. By contrast, the top federal income tax bracket in the U.S. begins at $200,000 a year and New York state's top rate of 8.82 per cent kicks in at a $1.029 million. (The lowest bracket of 4 per cent kicks in at a bewildering $8,201). Americans enjoy another tax benefit that Canadians do not. They can write off property taxes and mortgage interest paid to cover mortgages of up to $1 million. Americans also spend less of their after-tax incomes on housing than do Canadians or Europeans. The average single family home in the U.S. sold for $240,000 in 2013; in Canada, it was $339,000. Average prices in Toronto and Vancouver even outpace New York City. There is another reason why America's lower income groups lag Canada's or Europe's. It's demographics. The United States is a "younger" nation, and younger people have less education, less experience and lower wages. About 12.7% of 34.5 million Canadians are between 15 to 24 years of age compared with 13.7 per cent of 314 million Americans. There are more higher income elderly in Canada. Some 34.1 per cent of Canadians are 55 years or more compared with 28.4 per cent of Americans. Of course, that doesn't mean the U.S. should take the ranking slip in stride. This survey is a warning shot -- and it's worth debating what steps will help the middle class in America. If for no other reason than it would be embarrassing to ask Canada for a loan. *This article previously appeared in the New York Post on April 27.